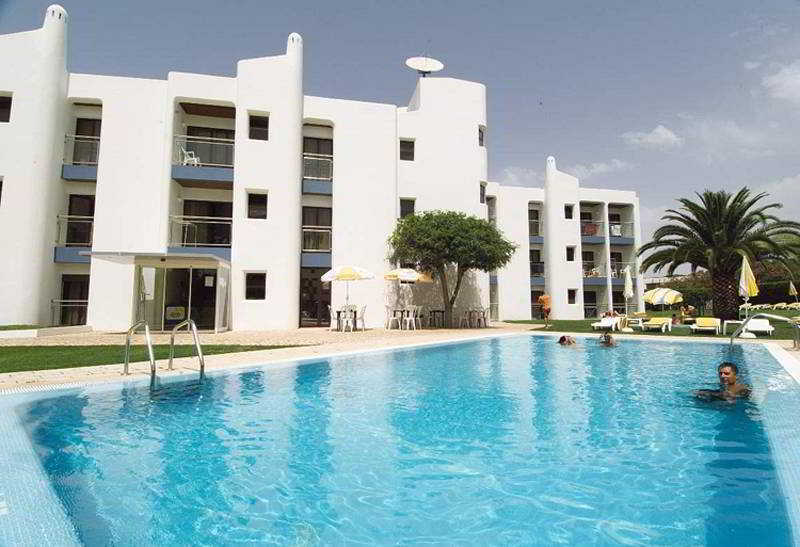 This apartment hotel is located at the entrance of Vilamoura in the Parque das Amendoeiras. The sandy beach of Vilamoura lies within 5 minutes walk and the beach of Quarteira is approximately 15 minutes away. 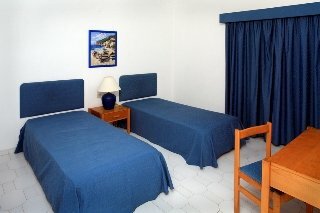 This hotel is situated approximately 2 km.. This apartment hotel is located in Montechoro, on a hilltop, with breathtaking panoramic views. Guests will find a shopping area close to the hotel with an array of shops, restaurants, and bars. Lively Albufeira and its amazing nightlife is only 2.5 km..
Janelas Do Mar Apartments Book and enjoy the Janelas Do Mar Apartments for a relaxing getaway at this idyllic location for a fun filled family holiday. The Janelas Do Mar Apartments is nestled on a hill top in the area of Montechoro offering amazing.. Resort "Janelas Mar T1 01", 9 storeys, built in 1991. 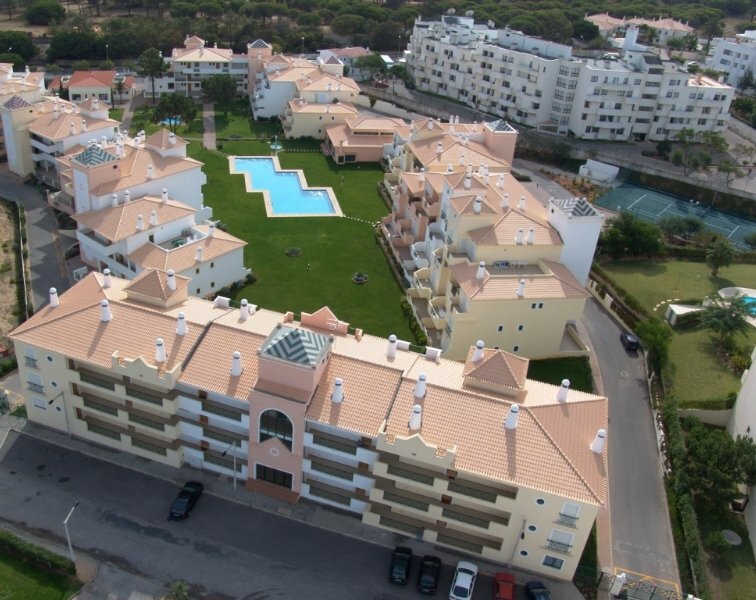 3 km from the centre of Albufeira, in an elevated position, 3 km from the sea. For shared use: garden 4'000 m2, swimming pool, indoor pool heated (01.01.-31.12.). Children's pool, outdoor..
General Description: Jardins Da Rocha in Praia da Rocha has 70 rooms, spread over 26 floors. The sandy beach is 100 m from the hotel and the town of Portimao is 3 km away. The closest cities to the hotel are Silves (25 km) and Lagos (25 km). To make your.. Situated in Stª Eulália, these apartments are well furnished, have an extensive green area with a swimming pool, garage parking space and reception. Only 500m away from Stª Eulália beach, this development is located in a quiet area providing relaxing..
General Description: Jardins Vale De Parra is located 2000 m from a sandy beach. The closest cities to the hotel are ARMAÇAO (6 km) and Vilamoura (18 km). To make your stay more comfortable air conditioning and a reception are available. The staff in..
General Description: Kings Apartments is located 250 m from a sandy beach. The closest cities to the hotel are Quarteira (150 m) and Vilamoura (5 km). Other cities: Faro (35 km). To make your stay more comfortable a reception is available. The staff in..